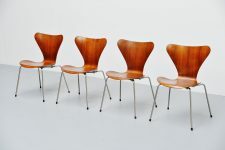 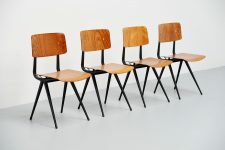 Very nice set of 4 dining chairs designed by Friso Kramer for Ahrend de Cirkel, Holland 1958. 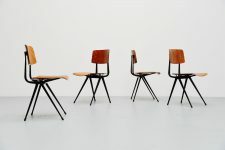 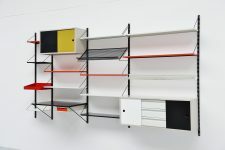 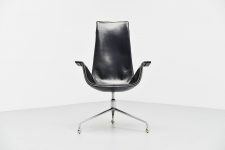 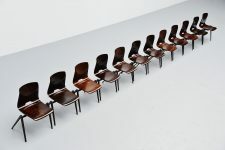 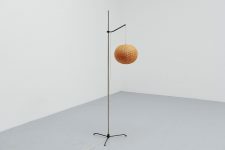 The Result chair was a collaboration between Wim Rietveld who has just switched from Gispen to the competitive company Ahrend and Friso Kramer who invited Wim Rietveld to come work at Ahrend de Cirkel. 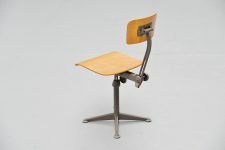 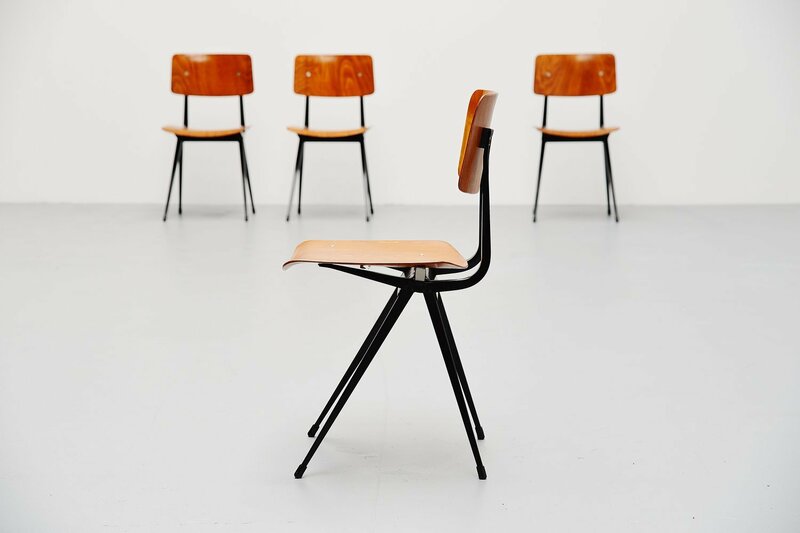 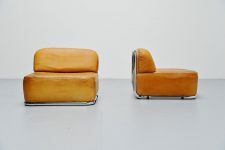 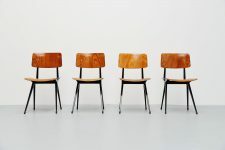 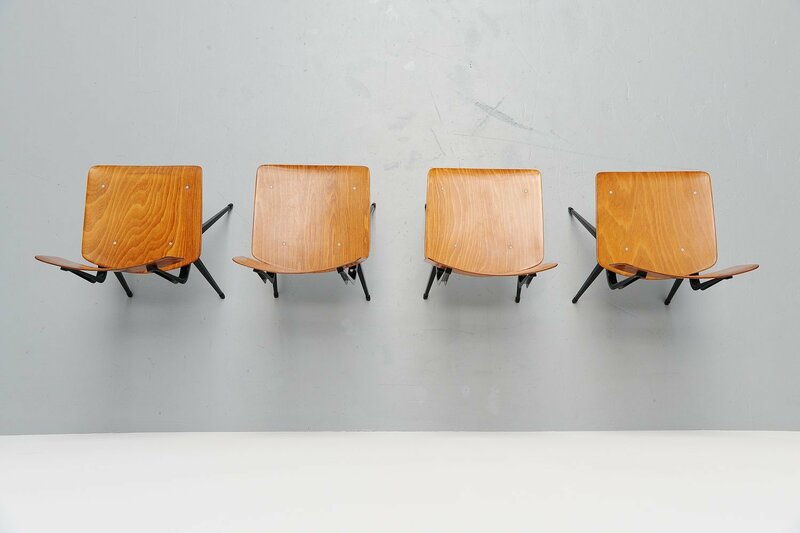 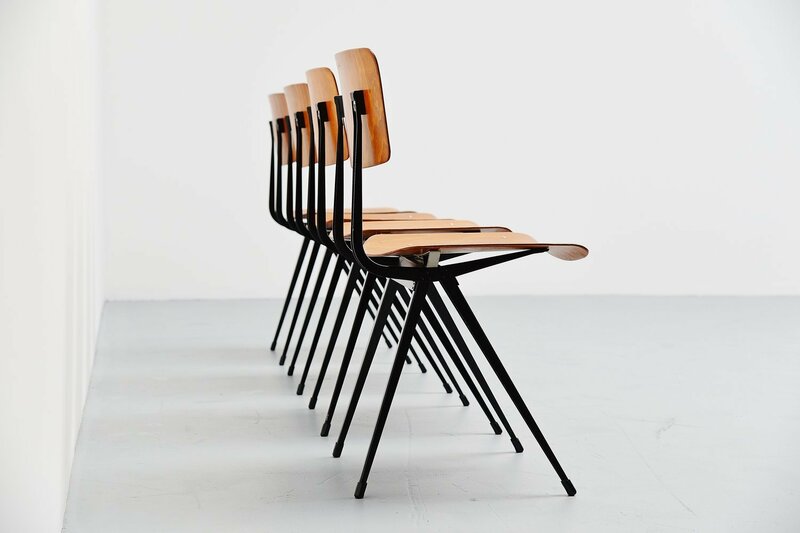 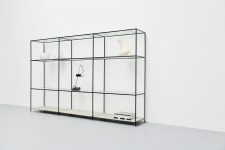 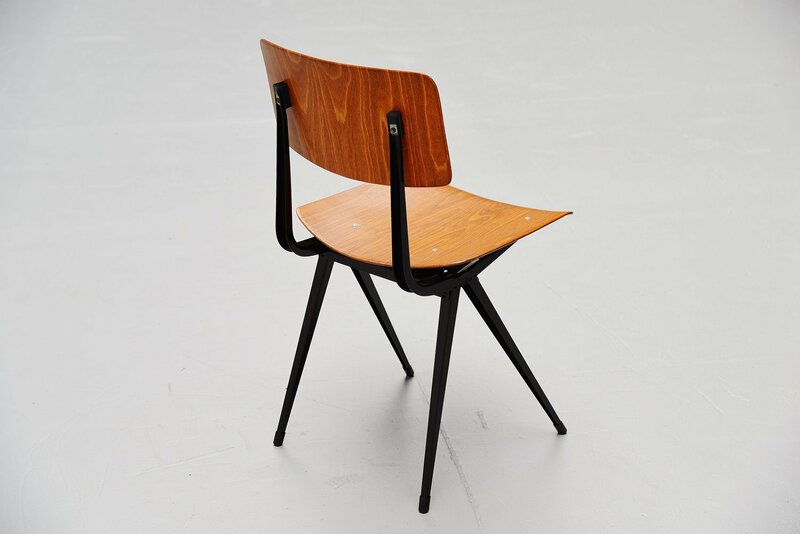 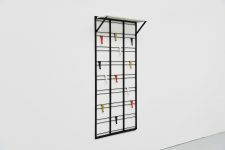 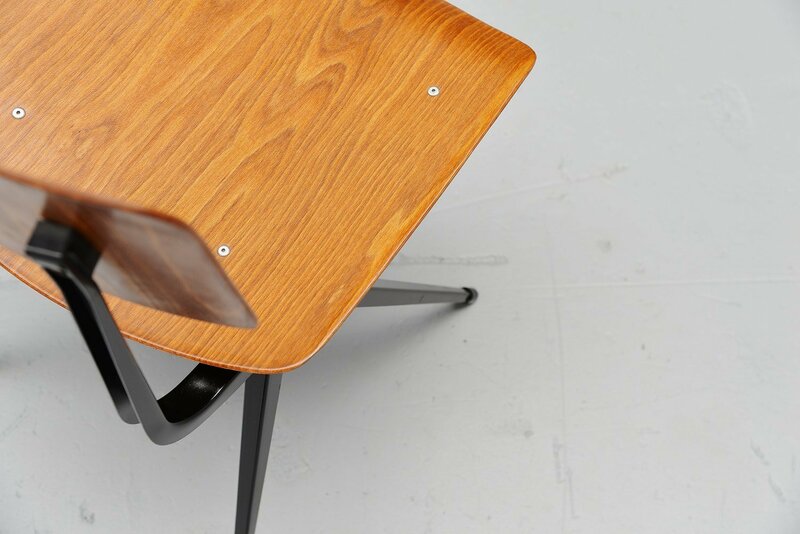 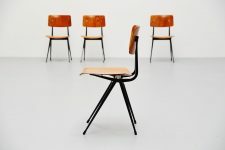 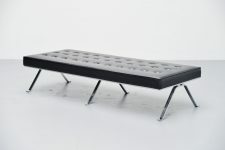 The influences of both Kramer and Rietveld are strongly visible in this chair that was originally designed as a school chair to compete with the tubular chairs from that time that were more expensive to make. 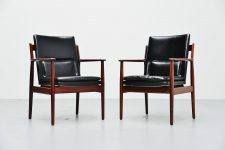 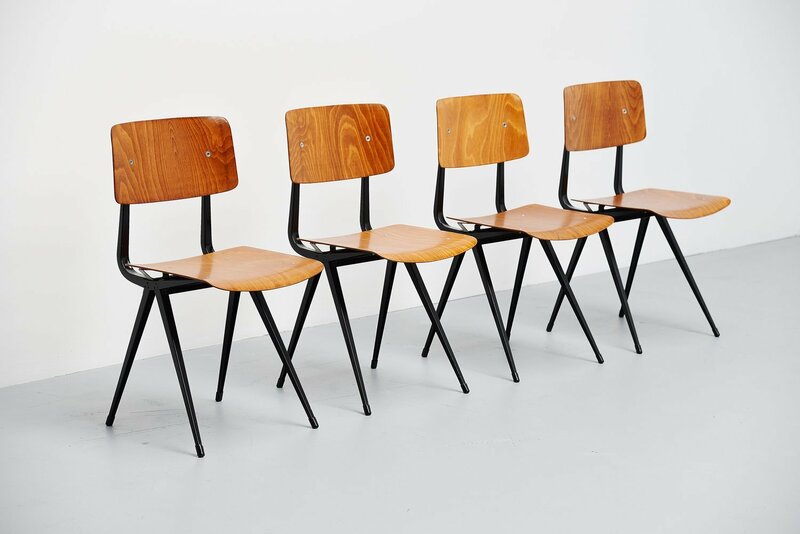 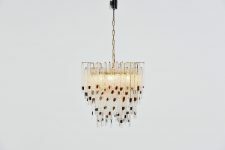 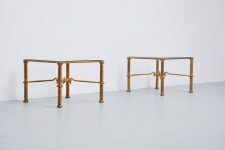 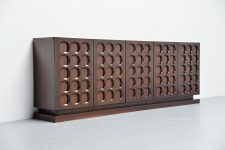 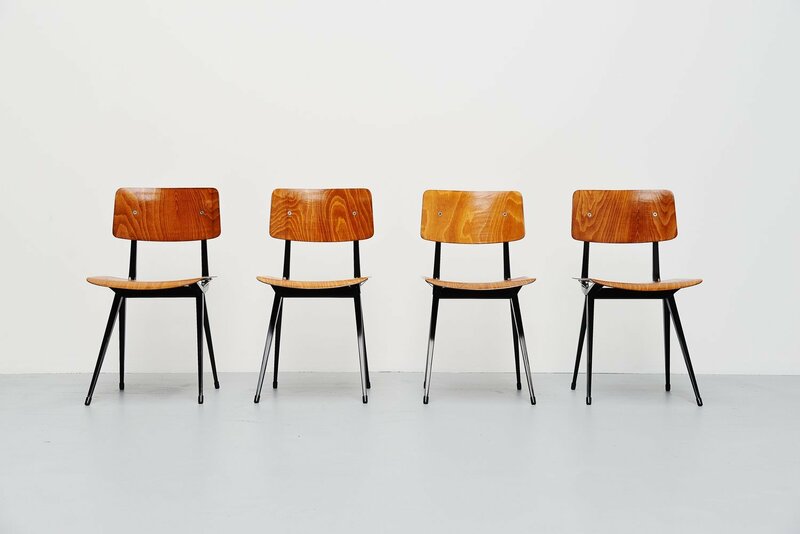 This set of 4 of the second edition in pagwood and has a very nice warm teak plywood seat and back and the frames are made of black lacquered folded metal. 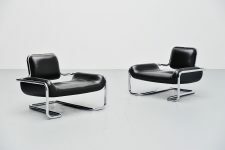 This is an excellent set of chairs with comfortable seating pleasure, we sit and work on these chairs every day.